Non-profits are special because they can tell a story with their website. The goal you are working towards is the most important thing about your organization and should be clearly stated. Website visitors should not have to search through pages of content to find out what your mission is all about. If this step is done correctly, your story can connect more supporters to your cause and inspire them to take action. The appearance of your website will be the first impression a visitor has of your company. There is an overwhelming amount of content online, so make yours stand out. To do this, you can utilize different forms of media. Videos, pictures, info graphics and testimonials are all options you can take advantage of to improve the appearance of your non-profit website. These visuals can enhance your mission statement and create a story that resonates with people. Imagery is powerful and will have a more influential effect than just words. It is crucial to provide content that is both attractive and engaging. This will create a positive online experience for potential donors. It is especially important for non-profit websites to convince their visitors to donate. Your website needs to tell visitors exactly how they can engage with your organization. When people are told how to take action, it is more likely that they will. It should be very easy for supporters to learn more about your cause and request additional information, if desired. If there are other opportunities for interaction with your non-profit, make sure they are highlighted on your website. The donation page should never be more than one click away. 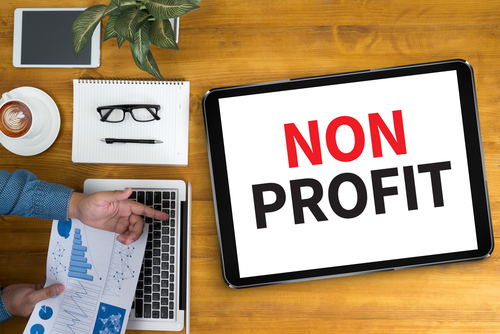 Fundraising is inherently necessary for any non-profit, so don’t make potential donors go through unnecessary steps and waste time looking for a way to donate. Every visitor that comes to your non-profit website should be able to quickly locate this donation button. The simpler you make this process, the more likely supporters are to donate. Almost everyone has a smartphone these days, and people are surfing the web on their mobile phones frequently. Make your non-profit website easy to maneuver for people on-the-go. Proper navigation is key to mobile platforms because there is not a lot of screen space to work with. Optimizing your site for mobile accessibility will expand your reach on potential supporters. People are busy and their attention spans are extremely short. Someone might click away from non-profit websites if they take more than few seconds to load. Make your website fast, so it doesn’t lose the interest of supporters. Having a quick page will also help your ranking in search engines. You want your non-profit website to appear as high as possible in search results to attract more traffic. Non-profit websites should be informative, visually appealing and fast. Most of all, your website should leave a positive lasting impression on visitors and turn them into supporters of your organization. The experts at G4 Design House have plenty of experience in this area. We have helped countless non-profits turn their vision into reality. We know exactly what to do to make your website as effective and beautiful as possible. Our diverse web design plans make it possible for organizations of all sizes to afford an amazing website.